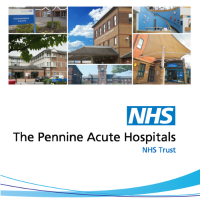 partnership by Pennine Acute Hospitals NHS Trust, Manchester City Council and North Manchester CCG. The service was co-identified, co-designed and co-produced. It embedded a learning culture that has developed capability, capacity and confidence to work together. Prior to implementation of the CASS service the team were able to co-produce a future state plan- a vision of what was possible, described ‘what good looks like’ with a focus on ‘what matters to me’. What has now emerged through this new model is pro-active care that is optimised for citizens and carers .This learning culture, seen through joint workforce development and training sessions, has supported capability, capacity and confidence to make a difference working together. Utilizing change management methodologies, it provided a useful framework for transitioning from old to new delivery models. Involving staff in the design and implementation provided ownership and motivation especially when problems needed solving. CASS staff has embraced the concepts and challenges in the new delivery model to forge new relationships and working practices within the new team and with patients and carers. Working hard we now have a new organisational culture within the CASS services; the service now has a workforce that is vibrant, positive with a definite ‘can-do’ attitude. This has made a difference to the delivery of care. We have driven up quality and productivity investing in the model to create an environment conducive to change. The CASS model has been delivered successfully for incorporating the key principles of the model design and has had an impact at system level and has become a leading provider of rehabilitative services. The updated Cost Benefit Analysis (CBA) has shown a higher benefit on first years activity (£1.11) compared with the initial work (£1.03), in year 2 the CBA is expected to increase to £1.69 for one year’s investment. Multi-source information including the Performance Metric Framework for the service show may positive impacts at service level and a contribution to system wide impacts. Importantly Friends and Family Test data has shown very high levels of service user satisfaction. • The trusted assessments on the acute wards have reduced time taken form recommendation for reablement service from 2.00 days to 0.5 days. • Crisis Response has tripled throughput and achieves 97% deflection.